This entry was posted on January 14, 2019 by Sew Essential. Anyone who follows our blog will know I am fascinated by fit. Since learning to sew I've realised I have a whole host of fit issues I never knew I had. So many of my ready to wear clothes don't fit me properly, which I never noticed before. Whilst this can be quite annoying I also look at it as an opportunity to get it right through my sewing. I mean I'm never going to find clothes that fit perfectly off the peg. Some might come close and certainly most are close enough for me to live with, but some are downright awful and guess what? I don't have to put up with that because I can sew! A good sign you have a high round back is if clothes feel like they are falling down your back and riding up at the front. This is because you have an increased surface area at the top of your back and the fabric is struggling to cover it. As a result the neckline will be low at the back and too high at the front. 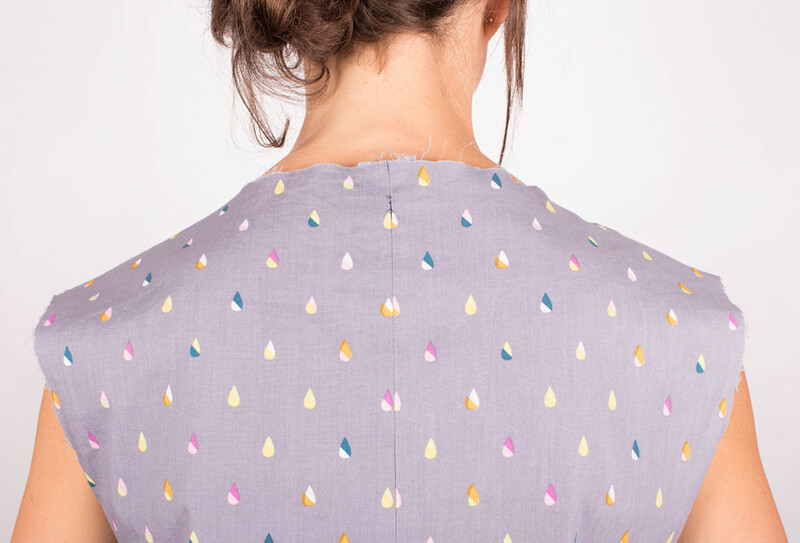 The shoulder seams will also be behind the centre point of your shoulder rather than on it. Here is a picture of me wearing a basic toile of Simplicity 8454 with no fitting adjustments. I have tried to show the shoulder seams and neckline are in the wrong place as described above. It is quite difficult to show in a photo, but once you know to look out for it, it is very easy to spot in terms of how it feels. How Much do I need to Alter the Pattern? Usually this adjustment requires an extra 1/4" to 3/8" of fabric. You can tell how much you need to add by looking at how far below the correct neckline the neckline is sitting. I know I usually need to add about 1/2". Making the adjustment is really simple. 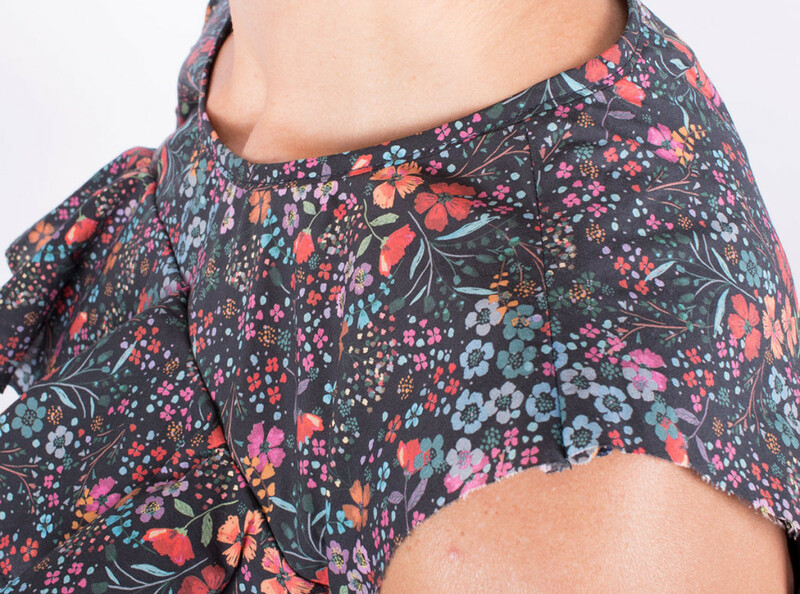 previous advice suggested slashing the pattern piece towards the armhole or shoulder seam about 1" below the neckline as shown in the photo below. 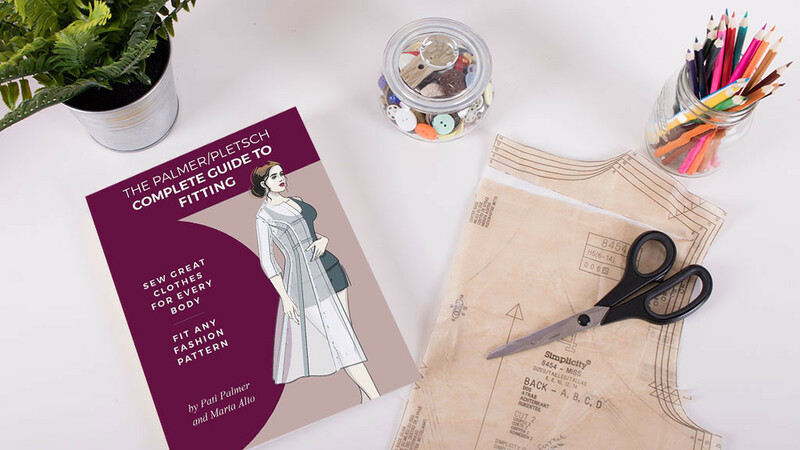 However, Palmer and Pletsch have since republished a new, updated version of the book, which suggests slashing the pattern piece at the neckline seamline as demonstrated in my video. 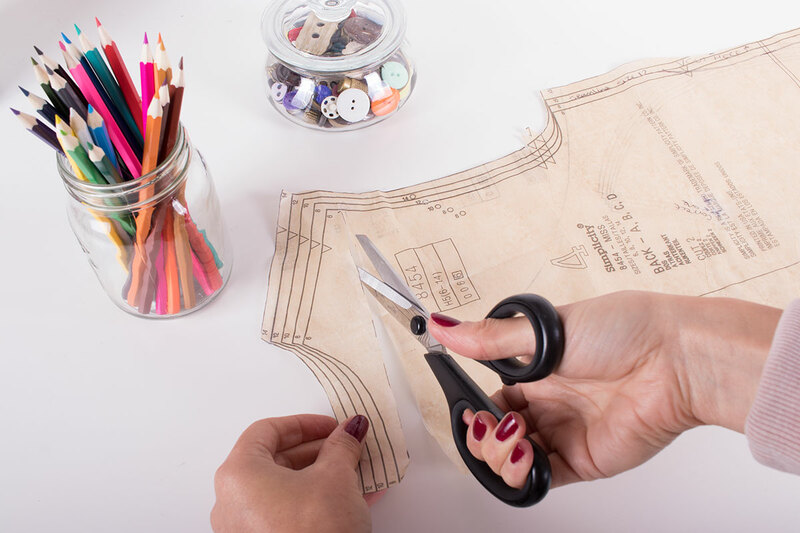 This is because this method won't alter the width of the neckline when cutting on the fold. In all honesty I have used both methods and never had any problems at all. Next, opposite the slash you created, snip from the edge of the pattern piece towards the seamline. Take care to leave a small section of pattern paper intact between the two slashes. 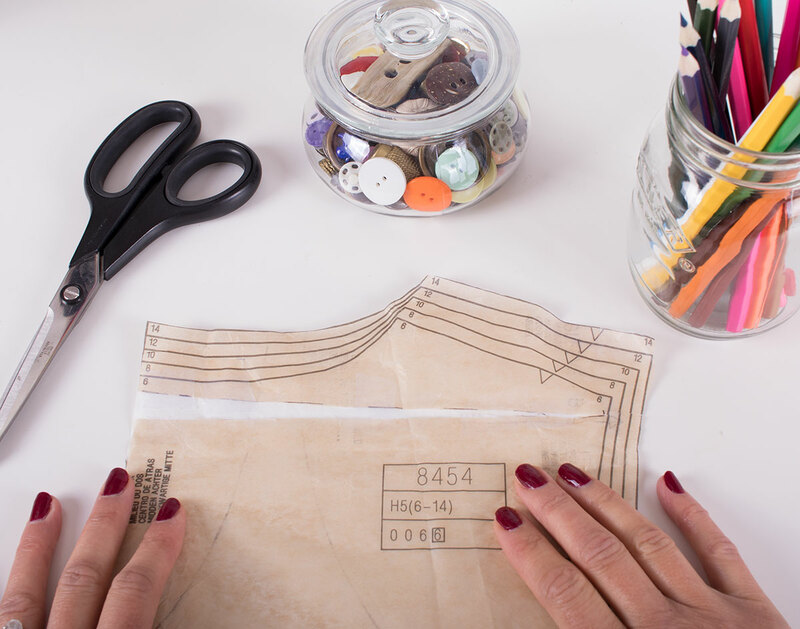 Spread the pattern to create the right sized gap for your alteration then fill it by sticking a piece of tissue paper on the wrong side. I like to use this Burda tissue paper - the sheets are huge so it is perfect no matter how big the job. 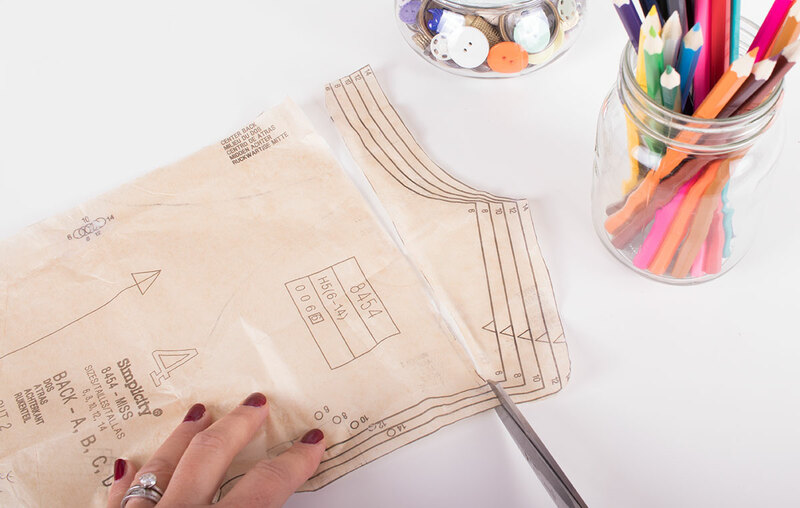 Now use your new pattern piece to cut your fabric. Depending on which method you have used you may notice the neckline has moved and the centre back is slightly curved at the top. There are several options for correcting this. I find the easiest option is to simply cut the centre back straight then trim off the excess along the neckline to correct it. If cutting on the fold the pattern piece will curve away from the fold at the top slightly, but the rest of the piece should line up with the fold as normal. Other options include adding a small dart at the neckline to remove the excess or adding a centre back seam to maintain the curve. Now for the moment of truth - sew it and try it on. You can see in the photo below the fit is much better across the back/shoulder area and I can tell you it feels a whole lot more comfortable too. However, although the shoulder seams have moved and are in the correct position at the neck end they are still in the wrong place at the shoulder end. In the image below I've marked where the shoulder seam should sit. Forward shoulders often go hand in hand with a high round back. Correcting this problem is very simple. The shoulder seam should sit in the middle of your arm as you look at it head on balancing out the front and back of your body. If your shoulders are forward the seam will be sitting behind this point as shown in the image above. Check how the shoulder seam is sitting at the neckline. 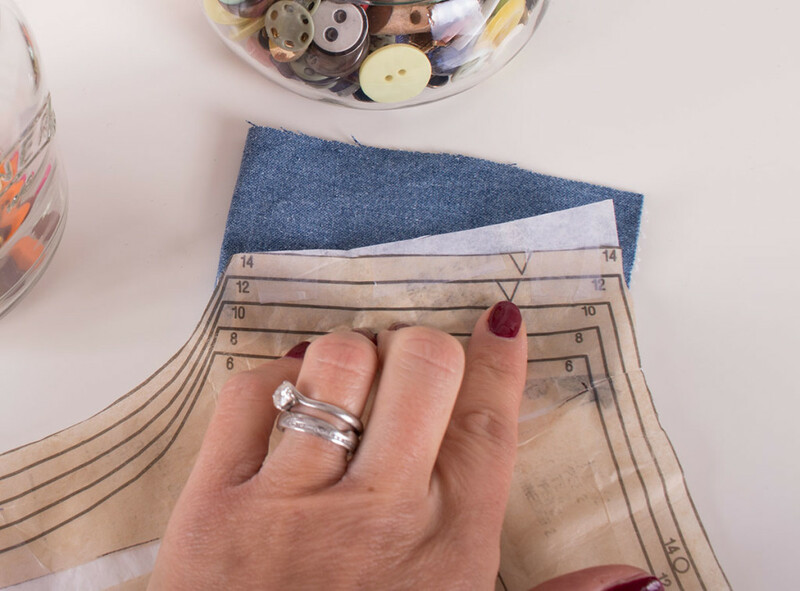 If it is in the correct position, in line with where the shoulder seam should be at the shoulder, you will just need to bring the seam forward at the shoulder end. Add a piece of tissue paper to bring it forward the required amount tapering back to the correct point at the neck. If it isn't in the correct position at the neckline it may be that you need to add a little more in the high round back adjustment. You can see the adjusted back pattern piece in the image below. I placed a piece of dark fabric underneath the tissue paper so it is easy to see. Remember to move the shoulder seam forward by the same amount on the front. This will mean cutting off some of the pattern paper rather than adding on. You may wish to reshape the front and back armholes marginally for better movement. Having said that, I have never found this to be a problem. You can also move the shoulder seam dot on the sleeve pattern piece forward, but Palmer and Pletsch argue this isn't necessary. They suggest easing the fabric in and this has always worked for me. If you don't move the shoulder dot, but do want the sleeve seam to match up with the side seam you can trim off the same amount off the front underarm sleeve seam and add on the same amount to the back underarm sleeve seam as you did for the forward shoulder adjustment. 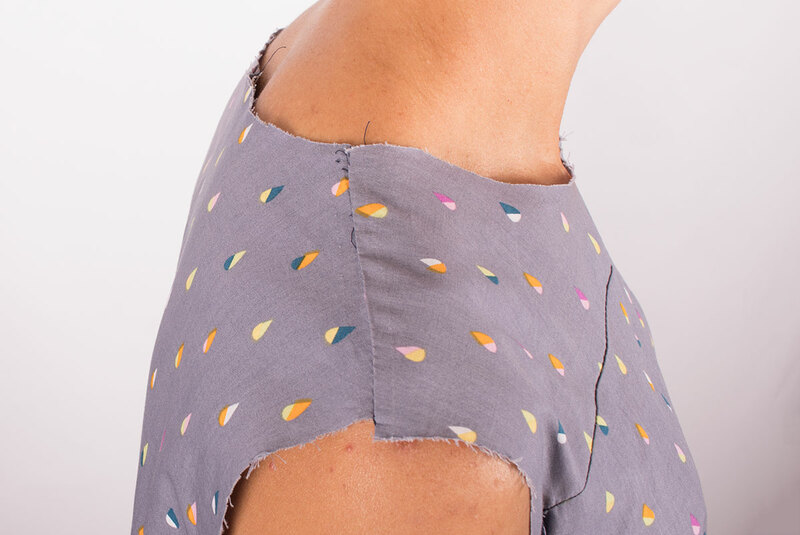 In other words, if you added on 1/4" in your forward shoulder adjustment, trim this much off the front underarm seam and add this much onto the back. I didn't feel I needed to make this adjustment to the toile and made it on the final garment instead. Here you can see the shoulder seam is sitting in the correct position. I hope you found this tutorial helpful. My best advice is to have a play around and see what works best for you.